A London archivist is murdered and Lindy Kellerman is on the lam. She has to get to Detective Fraser MacKinnon in Scotland before the cops arrest her. Or the killer finds her. Mix in Bollywood divas, an Oxford don masquerading as Santa Claus, one egocentric actress, Scotland Yard, Aunt Effie's prophesies, an antique doll, and the mother of all blizzards to complete the mayhem. 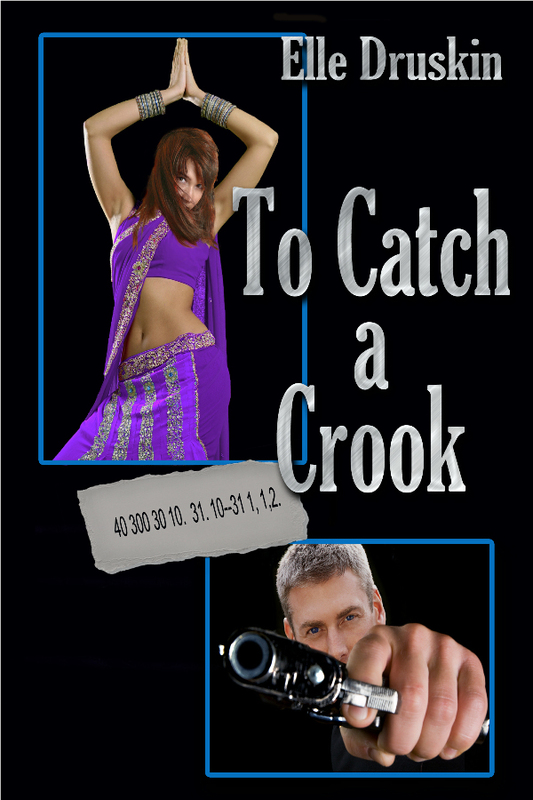 Can Fraser catch a crook before the crook catches Lindy? "This is precisely why I love Elle Druskin's books. Not only does she craft a wonderful story, but her cast of characters is first rate. Just how do you come up with all those quirky traits for your characters? Ms Druskin also has the ability to make her novels read just like you're in a movie theater. So take note movie producers everywhere, this novel would make a great film! I'm anxiously awaiting book 3 and so I'm asking "Jeannie" Leonie Guptakar to grant me another wish. Can I please review Book 3 in the To Catch Series? "- Reviewed by Anne for The Romance Reviews.